This was written by Szedlák Ádám. Posted on Saturday, May 9, 2009, at 18:17. Filed under (nincs). 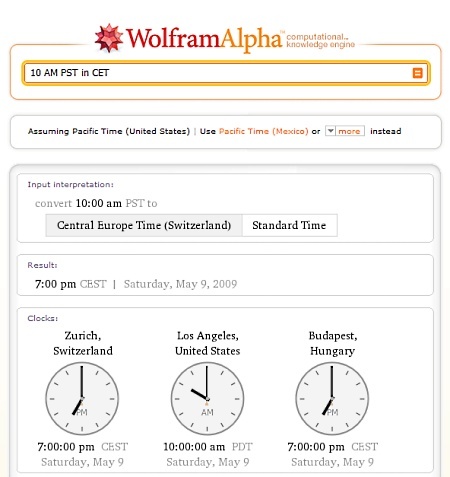 Tagged idő, időzóna-átváltás, wolfram, wolfram alpha. Bookmark the permalink. Follow comments here with the RSS feed. Both comments and trackbacks are currently closed.